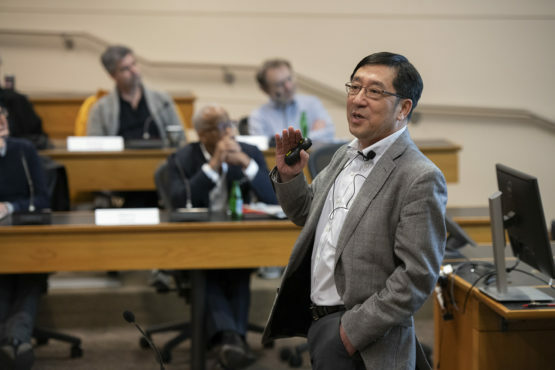 The partnership of SLAC National Accelerator Laboratory and Stanford University allows both organizations to leverage their resources and expertise to advance scientific discovery, SLAC Director Chi-Chang Kao said in his report to the Faculty Senate on Thursday. 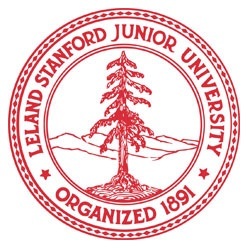 His presentation touched on the laboratory’s storied 57-year history, the partnership with Stanford, its current focus and its aspirations for the future. At the meeting, the senate also approved a motion endorsing need-blind admissions for international undergraduate students and passed a resolution to affirm diversity, free expression and civility. In other business, the senate voted to establish the charge of a new ad hoc Committee on the Professoriate, which will look at the recommendations from the Provost’s Task Force on Lecturers. Founded in 1962, SLAC National Accelerator Laboratory is a U.S. Department of Energy (DOE) national laboratory managed by Stanford. Kao said that SLAC’s unique partnership with Stanford distinguishes the lab from other DOE sites and enables SLAC to increase its scientific impact. Last year, DOE funding at SLAC supported the work of nearly 50 Stanford researchers and 400 graduate students and postdoctoral scholars, and a growing number of Stanford researchers from across the campus – more than 500 in 2018 – use the state-of-the-art facilities. Kao said SLAC’s partnership with Stanford is “very important” and envisions more opportunities to collaborate with the university. Looking to the future, SLAC aspires to solve the big science questions – from the origin of the universe to the laws of physics, and Stanford researchers will be integral to this work. “These big questions need research at scale both in terms of the size of the teams, the cost and the complexity. A national laboratory is exactly the place to do that,” Kao said. Today, SLAC designs, constructs and operates large-scale instruments to explore the universe using satellites, telescopes, underground detectors and instrumentation capabilities, Kao said. Two instruments are currently under construction: the LCLS-II, an upgrade to the LCLS (Linac Coherent Light Source), which creates X-rays a billion times brighter than available before, and FACET-II (Facility for Advanced Accelerator Experimental Tests), which will drive new research in accelerator technology. Developing new technologies is a central focus at SLAC and the lab has broadened its mission into new areas like national security, cancer treatment, neuroscience, telecommunications and advanced electronics for autonomous vehicles. The Faculty Senate approved a motion from the Committee on Undergraduate Admission and Financial Aid (C-UAFA) endorsing need-blind admissions for international students. Stanford currently has a need-blind admission process for U.S. domestic students and meets the full demonstrated financial need of all students who are admitted to Stanford and are eligible for aid. President Marc Tessier-Lavigne applauded the work of C-UAFA in bring the issue forward. He noted that last spring the university made the commitment to go down the path to becoming need-blind for international undergraduate students. “We all recognize that it requires tremendous resources and it can’t happen overnight, but unless we prioritize it, it won’t get done,” he said. The senate also voted to approve a resolution to reaffirm the university’s commitment to diversity, the observance of mutual respect and civility in discussion of controversial subjects and adherence to the university’s Fundamental Standard of student conduct. Developed by the Steering Committee of the Faculty Senate, this resolution is the result of several conversations the senate has had this academic year about this issue, including an entire meeting devoted to free speech and academic freedom. The document was conceived out of concern about the damages to the larger democracy incurred by hate speech and disinformation and the importance of academic freedom to the university’s educational mission. Acknowledging that the Fundamental Standard, adopted in 1896, was a product of its time, several senate members argued that some of the language in the resolution should be changed to better reflect current thinking about standards of conduct. However, two amendments proposing alterations to the language in the resolution failed to pass. In other business, the senate voted to establish the charge of a new ad hoc Committee on the Professoriate. The committee will consider recommendations made last fall by the Provost’s Task Force on Lecturers, specifically about adding, changing and eliminating some titles for teaching faculty and clarifying the criteria for the ranks of senior fellow and center fellow. The new committee is charged with providing the senate with a final report by the end of autumn quarter 2020. Provost Persis Drell reported on challenges the Budget Group is facing in putting together the 2019-20 budget plan. She said several factors are contributing to what she expects will be a “tight” year, including modest returns on the university’s endowment payout. She noted that the endowment payout has not kept up with inflation for the past four years, and that trend is anticipated to continue. She said that implementing the long-range vision is also a priority for the university, and while some initiatives will attract philanthropy, others may require realignment of existing resources in order to fulfill. The need to continue to address affordability challenges for all segments of the Stanford community is also a major consideration in budget planning, said Drell. “I believe our community will accept some cost cutting in order to meet the affordability challenges we are all facing, and meeting those is an essential component in ensuring a dynamic future for the university,” she said, adding that cost savings would be best accomplished by letting the leaders of the units figure out how to implement them, rather than a top-down approach. “In the Budget Group process, we’ve seen very thoughtful submissions, making it clear that university leadership is looking for ways to protect our core programs and departments while building a framework for our future,” she said. The full minutes of the Feb. 21 meeting, including the discussion that followed the presentations, will be posted on the Faculty Senate website. The next senate meeting is scheduled for March 7. An extremely fast “electron camera” at the Department of Energy’s SLAC National Accelerator Laboratory has produced the most detailed atomic movie of the decisive point where molecules hit by light can either stay intact or break apart. The results could lead to a better understanding of how molecules respond to light in processes that are crucial for life, like photosynthesis and vision, or that are potentially harmful, such as DNA damage from ultraviolet light. In the study, published today in Science, researchers looked at a gas whose molecules have five atoms each. They watched in real time how light stretched the bond between two atoms in the molecules to a “point of no return,” sending the molecules on a path that either further separated the atoms and cleaved the bond or caused the atoms to vibrate while preserving the bond. Co-author Todd Martinez, a professor at SLAC and Stanford University and an investigator at PULSE, said, “The system we studied is a paradigm for the much more complex light-driven reactions in nature.” For example, the absorption of ultraviolet light can cause damage to DNA, but other mechanisms turn the light’s energy into molecular vibrations and minimize the harmful effect. The first steps in light-driven reactions are extremely fast. Molecules absorb light almost instantaneously, leading to a rapid rearrangement of their electrons and atomic nuclei. To see what happens in real time, researchers need ultra-high-speed cameras that can “freeze” motions occurring within femtoseconds, or millionths of a billionth of a second. The camera used in the study was an instrument for ultrafast electron diffraction (UED), in which a high-energy beam of electrons probes the interior of a sample, generating snapshots of its atomic architecture at different points in time during a chemical reaction. Strung together, these snapshots turn into a movie of the speedy atomic motions. At SLAC, the researchers flashed laser light into a gas of trifluoroiodomethane molecules and observed over the course of hundreds of femtoseconds how bonds between carbon and iodine atoms elongated to a point at which the bond either broke, splitting off iodine from the molecules, or contracted, setting off vibrations of the atoms along the bond. The observation is in agreement with calculations that provide a deeper understanding of what happens during the reaction. The laser light “energizes” the molecules, elevating them from a low-energy ground state to a higher-energy excited state (see image below). Molecular states like these can be described by energy landscapes, with mountains of more energy and valleys of less energy. Like a golf ball rolling on a curved putting green, the molecules can follow reaction paths on these surfaces. When the landscapes of different molecular states intersect, the reaction can proceed in several directions. Chemists call this point a conical intersection. 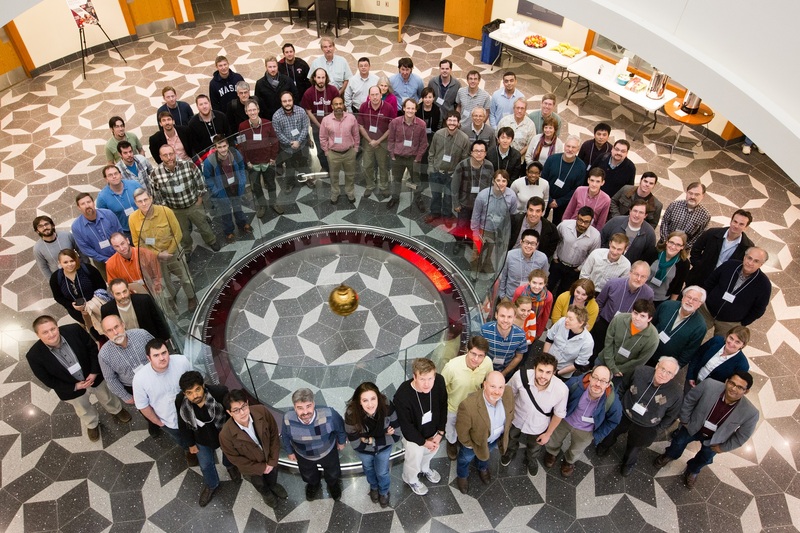 In addition to SLAC and Stanford, the research team included scientists from the Center for Free-Electron Laser Science at the German research center DESY; Max Planck Institute for the Structure and Dynamics of Matter in Germany; University of York in the United Kingdom; University of Potsdam in Germany; and University of Nebraska, Lincoln. Large parts of this project were funded by the DOE Office of Science . The study used SLAC’s high-speed electron camera – an instrument for ultrafast electron diffraction (UED) – which is capable of tracking nuclear motions with a shutter speed of about 100 millionths of a billionth of a second, or 100 femtoseconds. The team discovered that the melting started at the surfaces of nanosized grains within the gold sample – regions in which the gold atoms neatly line up in crystals – and at the boundaries between them. 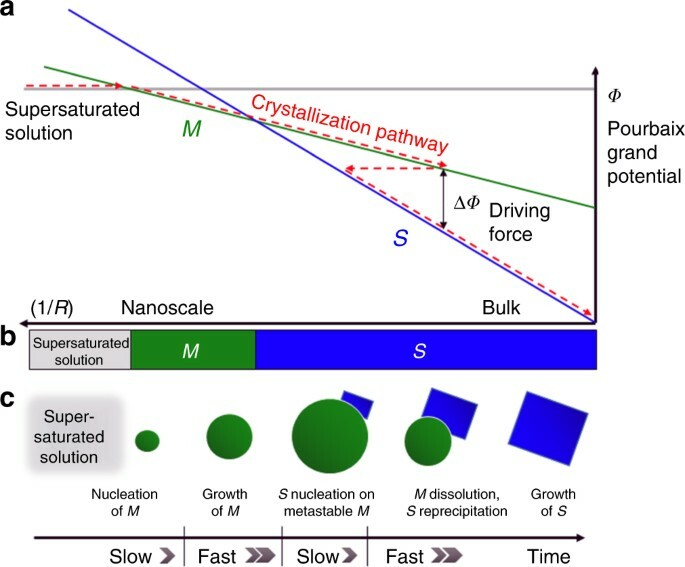 The research team included scientists from SLAC; DOE’s Los Alamos National Laboratory; the University of British Columbia and the University of Alberta in Canada; and the University of Rostock and the University of Duisburg-Essen in Germany. The work was supported by the DOE Office of Science. Scientists have made the first molecular movie of the instant when light hits a sensor that’s widely used in nature for probing the environment and harvesting energy from light. The sensor, a form of vitamin A known as retinal, is central to a number of important light-driven processes in people, animals, microbes and algae, including human vision and some forms of photosynthesis, and the movie shows it changing shape in a trillionth of an eye blink. The team carried out their experiments at the lab’s Linac Coherent Light Source (LCLS) X-ray laser and reported the results today in Science. Comming soon (A really bad attempt at lab humor. In fact, it will be a while). Retinal is so central to human vision – it’s named for the retina at the back of the eye – that scientists have been studying it for nearly a century, steadily building a more detailed picture of how it works. It’s also used in the burgeoning field of optogenetics to turn groups of nerve cells on and off, revealing how the brain works and how things go wrong in conditions like depression, stroke and addiction. Retinal does its job while snuggled deep into a pocket of specialized proteins in the membrane of the cell. When hit by light, the retinal changes shape – in this case it curves, like a cat arching its back. This creates a signal that’s transmitted by the protein into the cell’s interior, initiating photosynthesis or vision. Scientists thought retinal set off the signal by pushing on the protein pocket as it changed shape. But the LCLS experiments found just the opposite: The pocket actually changed shape first, creating space for the retinal to perform its arching-cat maneuver. Nearby water molecules also moved aside and made room, Standfuss said. It all took place within 200 to 500 femtoseconds, or millionths of a billionth of a second. That’s about a trillionth of the blink of an eye, making this one of the fastest chemical reactions known in living things. The protein pocket’s initial movements are triggered by small changes in electrical charge that rearrange certain chemical bonds, he said. These movements guide the retinal’s response and make it much more efficient, which is why it requires only a few photons of light and why nature can use that light so effectively. How can you watch something so small that happens so fast? The X-ray laser was key, Standfuss said. LCLS produces brilliant pulses of X-ray laser light that scatter off the electrons in a sample and reveal how its atoms are arranged. Like a camera with an extreme zoom lens and ultrafast shutter speed, the X-ray laser can also make snapshots of molecules moving, breaking apart and interacting with each other. In this case, the researchers looked at samples of retinal snuggled into pockets of bacteriorhodopsin, a purple protein found in simple microbes like those in the salt ponds. After years of effort, PSI postdoctoral researcher Przemyslaw Nogly, the lead author of the report, found ways to pack these retinal-protein pairs into thousands and thousands of tiny but well-ordered crystals. One after another, crystals were hit with light from an optical laser – a stand-in for sunlight – followed by X-ray laser pulses to record the response. Then Nogly and the team boiled down data into 20 snapshots and assembled them into stop-action movies that show the retinal moving in sync with its protein pocket. Proteins like bacteriorhodopsin that sit in cell membranes are notoriously difficult to study because it’s so hard to form them into crystals for X-ray experiments, Hunter said. But scientists have learned that they crystallize more readily when embedded in a fatty, toothpaste-like sludge that mimics their natural environment, and that’s how these crystals were formed and delivered into the X-ray beam. The researchers were also able to detect “protein quakes,” vibrations that release some of the energy deposited by the light flashes. These had been predicted by theory and came off as expected. LCLS researchers Sergio Carbajo, Jason Koglin, Matthew Seaberg and Thomas Lane were co-authors of this study. Other contributors came from PSI, the University of Gothenburg in Sweden, the Fritz Haber Center for Molecular Dynamics at the Hebrew University of Jerusalem, the RIKEN SPring-8 Center and Kyoto University in Japan, the Center for Free-Electron Laser Science at DESY in Germany and Arizona State University. Major funding came from the European Horizon 2020 Program, the Swedish Research Council and the Swiss National Science Foundation. Slideshow of SuperCDMS SNOLAB photos. For more images, visit the SuperCDMS SNOLAB photostream on Flickr.